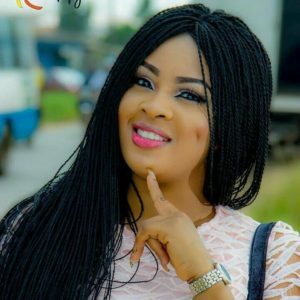 Bidemi Kosoko is one of the talented actress in the nollywood movie industry. She is an actress, movie producer and entrepreneur born on October 21, 1988 (Age 30), into the Kosoko royal family of Lagos. Sure, talent runs in the family as most of them are actors including her father, Jide Kosoko, her late step mother, Henrietta Kosoko and sister, Sola Kosoko are actress. Bidemi Kosoko and her sister, Sola Kosoko were born by the same mother who died in 1993. Although not much information is known about their biological mother. Bidemi studied theatre arts at Lagos state university. The beautiful actress who came into acting few years ago, rose to fame for her role in the movie “Aina Baseje”. She acts in both Yoruba and English speaking movies including My Mum & I, Marriage Runs, Abowaba and Toyin Abraham hilarious movie “Alakada Re-loaded”. Bidemi Kosoko does not have a husband for now but she has been romantically linked with fellow actor, Ibrahim Chatta, which she denied. Asides acting, she run a business as she’s the CEO of Splinterz Beauty world. 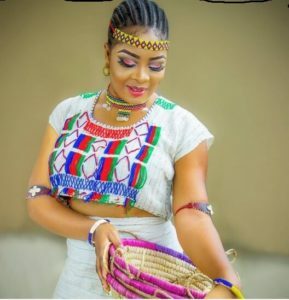 Bidemi Kosoko in the cause of her career has won awards such as Best supporting actress of the year (Yoruba) at City People Entertainment award.